"I'll be King of the Pirates! Or win a double-points Formula One Grand Prix!" Something like that. 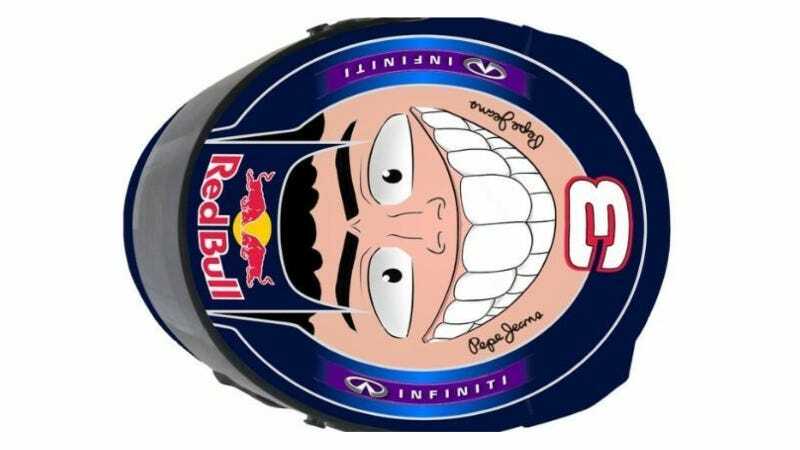 I knew I recognized that huge toothy grin on Daniel Riccardo's helmet for Abu Dhabi somewhere. Monkey D. Luffy is the character at 1:00-in, for those of you who weren't glued to Toonami as a kid. It's actually supposed to be an illustration of Red Bull Racing driver Daniel Ricciardo, but has anyone ever proved that he's not a straw hat pirate? The smile is a dead-on match between both guys, you know. If there's one thing Red Bull Racing does well, it's helmet design. This huge Cheshire Cat grin sticking up from the car in a few weeks is going to be hiiiiiiilarious.